So, it’s high-time to take an updated look as to why you might consider relocating to Panama. I offer these based on my own experiences and not in any particular order. You will notice that some of these aren’t the typical reasons given by the “promoters” of Panama … those businesses that make money off selling Panama to expats. And, some of the reasons these folks push aren’t on my list because I don’t consider them either that important anymore or even factors worth talking about. “It’s the lifestyle stupid!” All of the items on this list add up to a wonderful lifestyle for expats! Make no mistake: Panama is not perfect, but no place is, however for all these reasons, and more, Panama is a great place to call home. No military to support! No trillions of dollars spent on wars. No military-industrial complex to support. Panama is a neutral country and BTW the US, which does have an enormous military, pledged in the second Carter-Torrijos Treaty to maintain the neutrality of the Panama Canal in perpetuity. Strong infrastructure of bridges, roads, Tocumen Airport [“The Hub of The Americas”], shipping ports on both oceans and the newly expanded Panama Canal. Panama City has the region’s first Metro … beautiful, safe, efficient and spotless … and Line Two is now over 25% complete and contracts are being let for Line Three. And that ugly tangle of utility wires in Panama City are all going underground. Optimistic future planning … Panama is no more the “Banana Republic” but a dynamic, future-oriented country. The country is aggressively pursuing a defined plan for transparency, improving education, building a stronger and larger middle class, enlarging business opportunities and not just the Canal, increasing the already burgeoning tourist industry, building cruise port facilities on the Pacific side, enlarging Tocumen International which is already the major airport of the region, building new convention centers in Panama City and Boquete, constructing additional giant bridges over the Canal. And there is even talk of building a high speed rail connection between Panama City and David, Panama’s second largest city. Of course they’ve been talking about a high speed rail connection in California between LA and San Francisco for eons, but you have to be careful about talking about giant projects in Panama … because they happen! Panama has enjoyed democracy for 27 years since the removal of the dictator Manuel Noriega. Learning from that experience Panama has a vibrant political tradition with multiple parties, not just one or two choices, with elections campaigns fought with local participation and involvement, not just by billionaires and lobbyists with expensive television campaigns. People have strong political alliances but are not as ideologically divided as in many countries. The last election was a close competition between three very similar slightly right of center businessmen but no wild swings or rutting in the mud. Once a new president was elected, by a genuine popular vote everyone rather quickly got onboard to move the country ahead. Presidents by law can only serve a single 5-year term of office, then must sit-out at least 10 years. 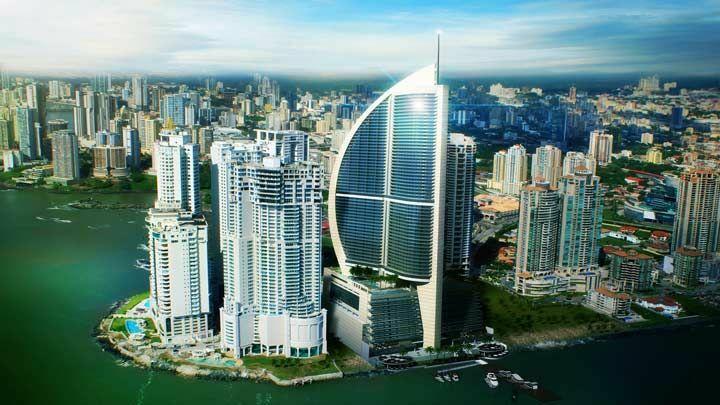 Panama is an economic power house with one of the strongest economies in the region. Economically strong. 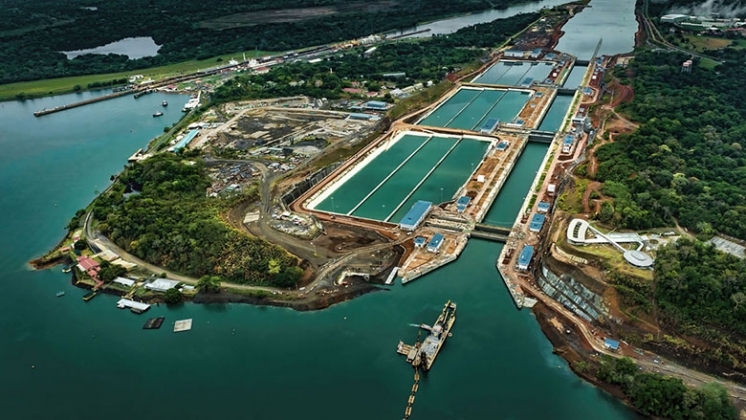 The Panama Canal, although significant, is just one arm of a multi-faceted economy. Panama has consistently enjoyed strong GDP growth, often the strongest in the region and stronger than many of the giant world economies. Panama uses the US $ which most of the world views as the strongest and most secure currency. We call it the “Balboa” but it is in fact the US $. It’s not a currency pegged to the US $ but is the US $. Except for a few week period Panama has never printed its own currency. Our coins look different, but work in the same vending machines as US coins and are used interchangeably. Because of this Panama does no have to worry about the wild swings in currency values that plague many of our neighboring Latin American countries. There are many non US citizens and companies who want their money in US $ but do not want to hold the US currency in the US and have the US government as a partner in their affairs. US citizens are stuck with the US government as a partner for life … and in death as well. Panama is accepting and diverse probably in large part because of its geographical position at the crossroads of the world and the history that was determined by that geographical location. Of the many Indigenous groups that were in Panama before the Spanish arrived, seven Indigenous groups still remain and in many ways are preserving their traditional lifestyles. After the Spanish and French the US Americans came and brought a workforce of people from Europe and the Caribbean to build the Panama Canal. And Panama’s famed Canal still links the world together. So most Panamanians are a delightful mixture of peoples, races, and cultures from around the world. No way could you attempt to identify and export or exterminate any one particular group, race or religion. Although officially a Roman Catholic country, people are free to worship as they wish, or not at all. There are large Evangelical, Jewish, Muslim, Baha’i, Indigenous and other religious groups who are not just tolerated but accepted as part of the wonderful Panamanian mix. The strong traditional Roman Catholic background has caused Panama to a bit slow to accept the LGBT community, although it has always quietly existed and even thrived. Panama law forbids discrimination. Period. Panama City now even celebrates with a gay Pride parade. Panama is the shopping center of Latin America. 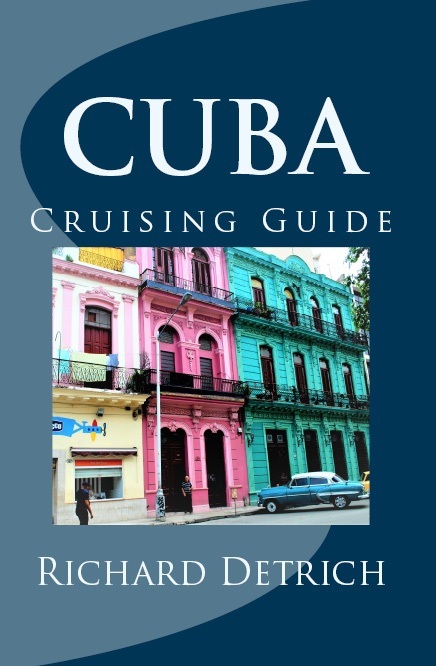 The Colon Free Port is the second largest free port in the world, second only to Hong Kong. Most buyers from Latin American stores come to the Colon Free Port to shop. The Mall Culture of Panama City almost rivals the Mall Culture of Dubai, absent of course the Dubai Mall ski slope. The largest mall in Panama City is the gigantic Albrook Mall and now the same people who developed Albrook Mall are building a gigantic 400 store mall and transportation center in David, 35 minutes from my house and farm in the mountains just outside of Boquete. Spectacularly beautiful. At 9 degrees above the Equator, Panama enjoys warm weather and lush tropical forests and abundance of birds, butterflies and wild life year-round. Forget trees stripped annually of their leaves, snow, ice and slush … we enjoy near-perfect weather all year. In the lowlands, near the water it can be tropical hot and humid, but up in the mountains, near where I live in Boquete, it is Spring-like year round with a high at noon when the sun is shining of 80 degrees F and at 4 am only 61 degrees F making blankets at night a necessity. We have spectacular tropical plants year-round and over 1,000 different species of wild orchids plus over 975 species of birds to keep bird-watchers busy. The water I drink on my farm is filtered through Volcan Baru … the kind of stuff you buy for $3 a bottle in the rest of the world. And of course I grow my own coffee, bananas, citrus and a bunch of other tropical fruits. Happy. Although no longer ranked the “happiest” country in the world … money and the pursuit of money has become more and more important in Panama and there appears to be an inverse relationship between happiness and the pursuit and importance of money … by en large Panama is still a happy, and peaceful country where people are optimistic about their future and the direction of the country. Your are welcome here. Panama encourages foreign investment. Anyone can own property in Panama. 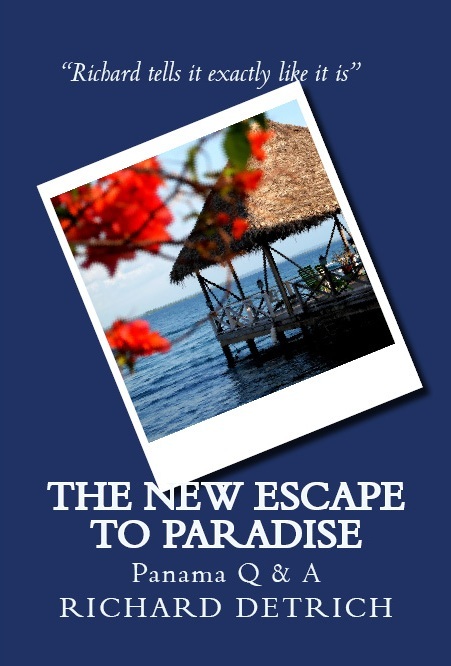 And in this time of worldwide upheaval and chaos, Panama is regarded by many as a safe haven, economically, politically, and in terms of personal safety. Panama throws out a giant welcome mat in the form of Friendly Nation Visas that give you permanent residency and the right to apply for a work permit if you are from one of these 47 nations friendly to Panama. Other nations have other visa options.